Hornby Railroad LMS 0-6-0T '16440' Jinty Class 3F Steam Locomotive. Railroad Range. Length: 124mm. 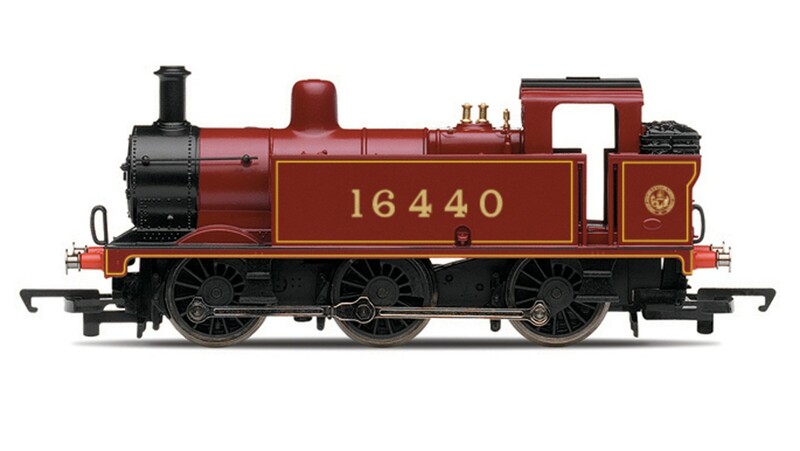 This delightful little 0-6-0 locomotive is based on the LMS Fowler Class 3F of which over 400 were produced. The �Jinties�, as they were nicknamed were built between the years of 1924 - 1931 by various contractors including the Vulcan Foundry, Hunslet and the North British Locomotive Company. When the LMS �Jinties� first entered traffic they were given the numbers 7100 - 7149 and 16400 - 16764.